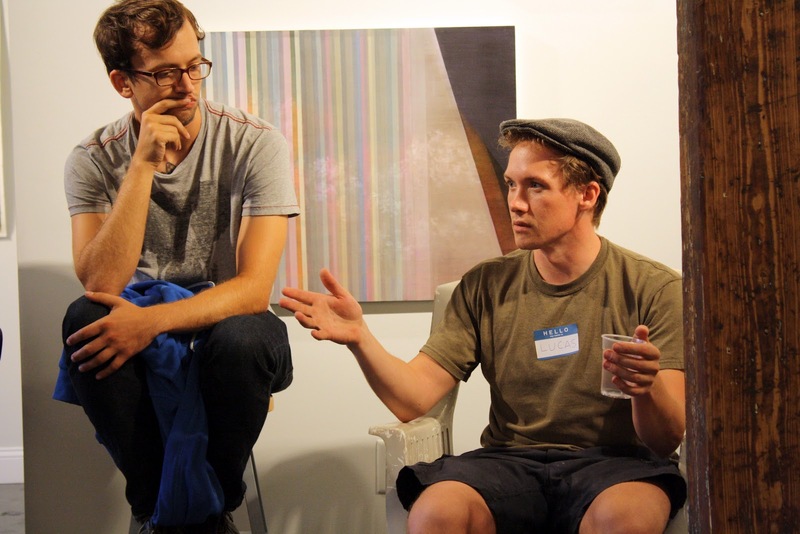 On Saturday, August 18th, from 6:00pm – 8:00pm the Gallery at Porter Mill hosted “Open Forum: State of the Art Scene” organized by local artist collective [Space]. With close to thirty artists, gallery owners, cultural council members, curators, business owners and community members in attendance, this event was a huge success. During this lively discussion a number of concerns and questions about the local Beverly art scene were brought up, and about twice as many solutions were presented. Attendees made connections with each other and discussed future collaborations including a city wide art walk, more public art, utilization of empty storefronts as gallery spaces, and increased communication between artists and community members who may have no comfortable ties with the artist community, but would like to support it. Discussion of the National Endowment for the Arts grant that Beverly was just awarded was met with equal parts confusion and optimism. All attendees agreed that the upcoming leaders of the art community needed to be in better communication with Beverly Main Streets, and vice versa. Riding high on this productive energy, members of the group proposed monthly meetings to discuss relevant issues held at rotating local establishments. Big thanks to all who attended this forum, we hope to see you, and others, at future events. To see more photos of the open forum, please check out our Facebook. All photos courtesy of Porter Mill intern, Tom Maio.